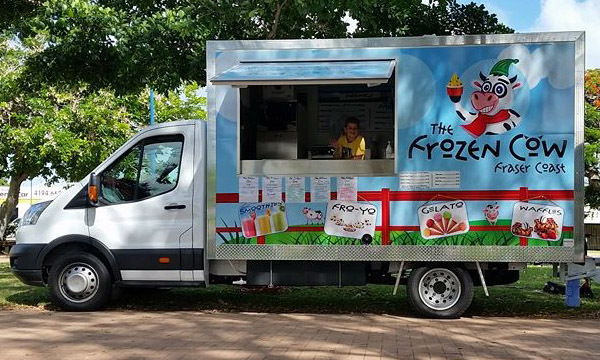 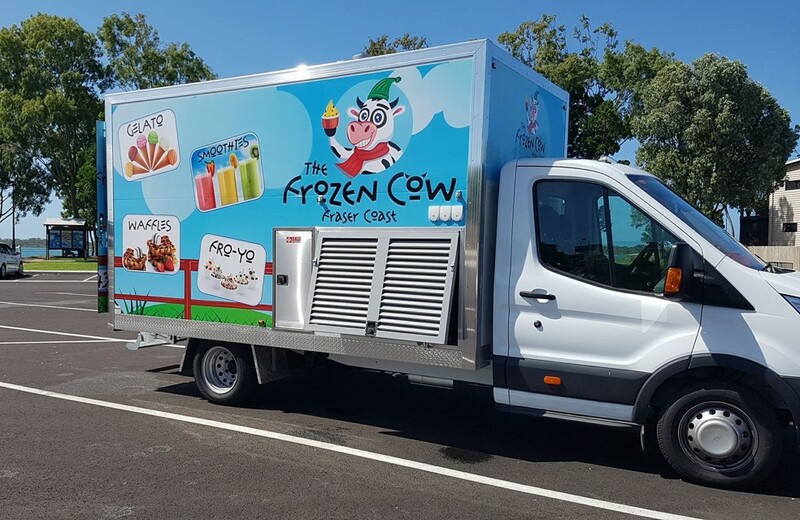 Hervey Bay on Queensland’s central coast, popular with holiday makers, is the perfect place to have a roaming ice cream and sweets truck. 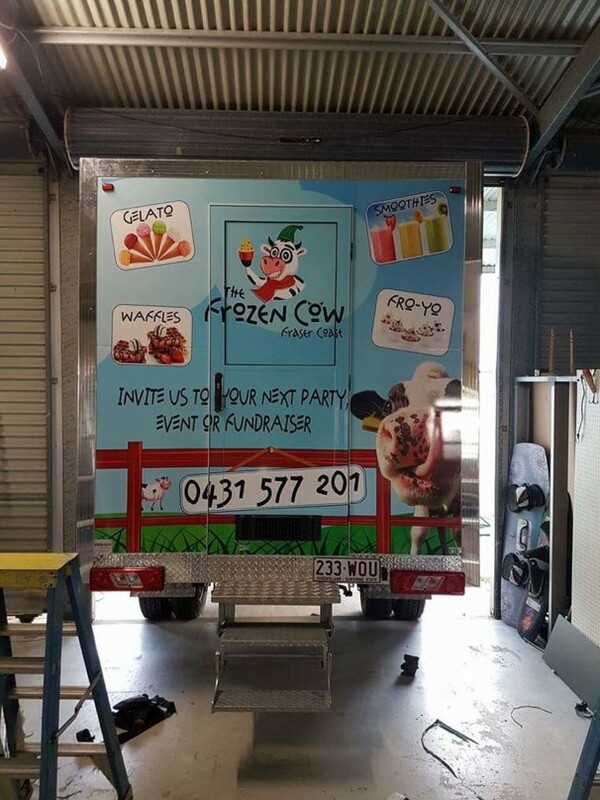 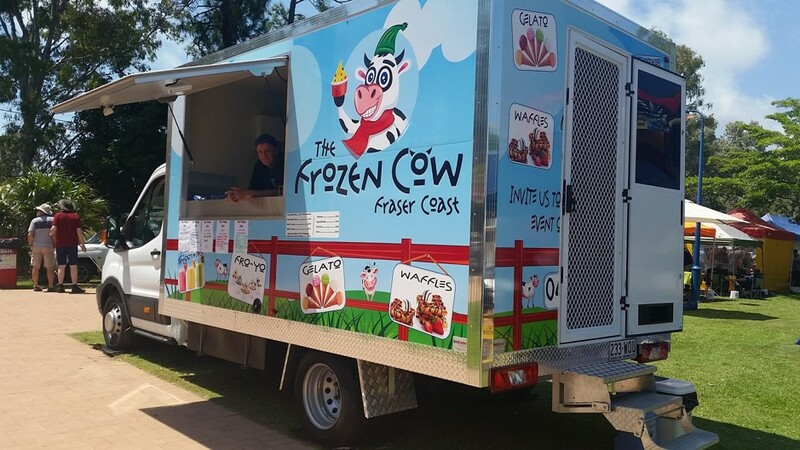 Eric and Keira saw a gap in the market and are happily dishing up gelati, milkshakes, smoothies and waffles to kids and adults alike from their modern day ice cream van. 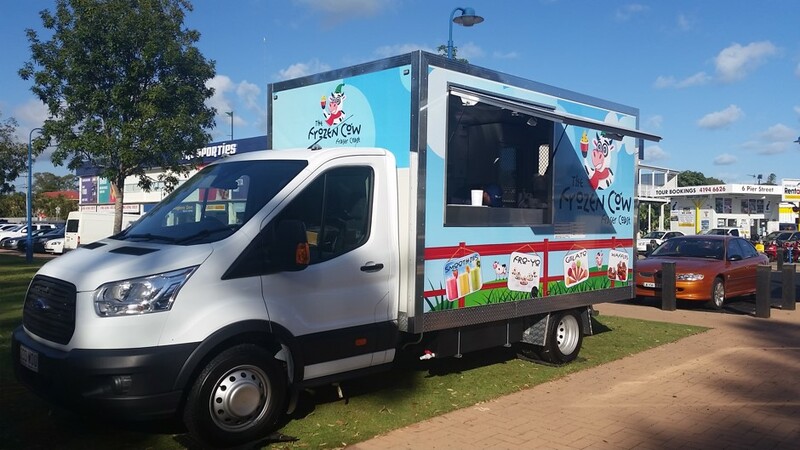 Van Demons sourced a brand new Ford Transit cab chassis vehicle for Eric & Keira and built a 3.9 x 2.2 x 2.2m food truck body onto it.